About 150,000 new cases of psoriasis are recorded every year in the United States alone. 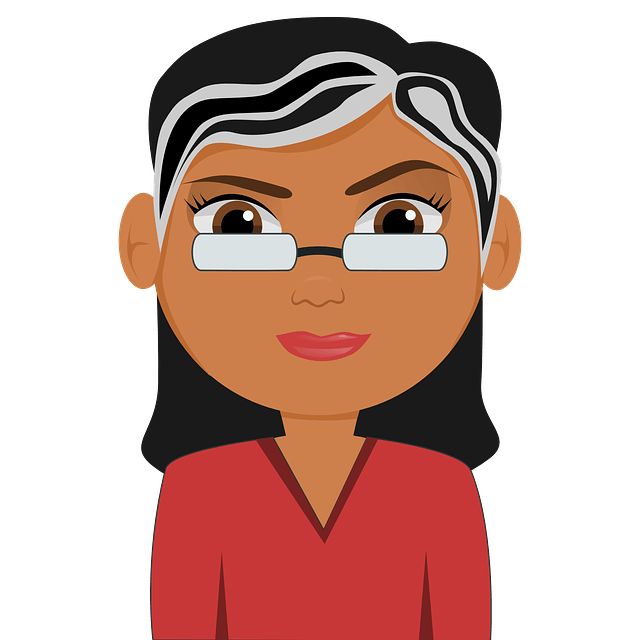 Being an auto-immune disease, psoriasis can affect anyone with a weak immune system regardless of age or gender. Patches of dry and red skin, usually on the legs, hands and on the scalp are a few symptoms of this chronic disorder. Usually our body reproduces and sheds skin cells every 28 – 30 days. However in psoriasis, the skin grow 5 times faster than usual yet the shedding takes place normally. This leads to accumulation of skin cells on under the present skin resulting dry patches on the skin (1). This happens due to a miscommunication between T Cells (cells that are responsible to fight wounds) and keratinocytes (cells responsible for regrowth of skin). Unfortunately, there is no permanent cure for psoriasis BUT, its symptoms can be controlled to the maximum extent. There are many natural ingredients like Olive Oil, Tea Tree Oil, Turmeric, and Coconut Oil are helpful for the same. In this article, let’s discuss olive oil and its effectiveness on psoriasis. When Dr. Fujio Numano of Japan was conducting trials to see the effects of olive oil on cardiovascular diseases. But during the research, he surprised to see the remarkable effect it had on the skin issues of the group patients who previously had skin ailments. A 71 years old patient showed about 80% recovery from the lesions of psoriasis (2). 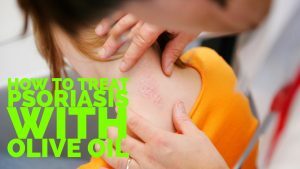 1 Does Olive Oil Work For Psoriasis? Does Olive Oil Work For Psoriasis? Dry skin, a common symptom of psoriasis, may cause irritation and result in flaking of the skin. Due to the presence of monounsaturated fatty acids, extra virgin olive oil can act as a remarkable moisturizer and keeps the dry skin flaking in check. Psoriasis causes an irritable burning sensation and inflammation in some parts of the skin. Olive oil contains vitamin E which reduces inflammatory reactions (3). In Psoriasis, a lot of antioxidants are lost while defending the cell damage. Olive oil consists of polyphenols which are great antioxidants and help fix this imbalance (4). There is a higher risk of heart diseases to people suffering from psoriasis. Oleic Acid (an essential fatty acid) present in Olive Oil which is known for its cardiac benefits (5). Olive oil can be used to treat psoriasis in many ways. It can either be through internal consumption or topical application. After a thorough research, a few effective ways to achieve that have been listed below. Olive oil (extra virgin olive oil preferably) can provide an immediate soothing affect to the lesions on the skin. It can be a really great moisturizer as well. Warm a small amount of olive oil. Apply it to the affected areas gently using a cotton cloth. Let it stay for 20 minutes before washing it away. Wipe off any excess oil with a tissue. Olive oil’s high Vitamin E content helps soothe the burning caused by the lesions of psoriasis. Add two tablespoons of olive oil in a warm bucket of water. Bathe with this mixture at least 3-4 times a week. Note: Avoid using soaps, as the chemicals present in them can worsen the skin condition. However, if you want to use soap, then it is better to use a homemade olive oil soap. We have mentioned the process of making olive oil soap here. Milk and Olive oil are two of the best natural moisturizers available. They soften the skin cells and ease the psoriasis lesion breakouts. Mix 2 teaspoons of olive oil to a glass of milk. Add this mixture to your bathwater and soak in it for 20 minutes. While in the bath, gently massage and remove the loose lesion flakes. Repeat regularly for better results. Alternatively, you can exclude milk and directly add olive oil to water. The antiseptic, anti-microbial and anti-inflammatory properties of tea tree oil reduce the soreness and itching associated with psoriasis (6). It also softens and exfoliates the flaky dry skin. Mix 1 part of tea tree oil and 10 parts of olive oil. Slightly warm the mixture and massage it on the affected areas for 2 minutes. Oregano oil is known for its anti-fungal, anti-septic and anti-inflammatory properties. Calendula oil is another great moisturizer which acts as a great soothing agent in psoriasis. Mix equal quantities of olive oil, oregano oil and calendula oil. Stir well and apply this mixture on affected skin areas. Being an excellent exfoliator, sugar helps to remove the loose skin flakes accumulated on the skin. It also helps reduce the symptoms of not just psoriasis, but also of eczema. Mix equal parts of olive oil and sugar. Apply this mixture on affected skin areas. Using a clean cloth, wipe off the excess. Let the skin absorb the oil for another few minutes. Finally, wash the area with lukewarm water and apply some moisturizer. For better results, follow this method before you shower. Alternatively, you can use brown sugar instead of white sugar. Licorice consists of glycyrrhizin which is known to soothe and control skin conditions like psoriasis, rosacea and eczema. It also helps in the reduction of redness, irritation, inflammation and burning sensation of the skin. Place licorice root in a jar and fill it with olive oil. Close the lid tightly and set it aside for 4 – 6 weeks. Or else heat the mixture on low heat for several hours. Then strain the oil and apply it on the affected areas. Leave it on for few minutes till it gets absorbed completely into the skin. Apple cider vinegar is being used as a disinfectant since the ancient times. A diluted apple cider vinegar can help soothe the lesions caused by psoriasis. Apply diluted apple cider vinegar onto the affected area. Let it sit for few minutes and then cover it with warm olive oil. Massage gently for few minutes and leave it on for another 10 – 15 minutes. Rinse the area with lukewarm water and pat it dry. Caution: Concentrated doses of ACV may result in burning sensation. Always dilute before using. Beeswax has anti-inflammatory properties and helps with skin tightening. It also moisturizes and brightens the complexion of skin just like honey. Combine enough amounts of olive oil, honey and beeswax (melted). Mix well and apply it gently on affected areas. Note: Alternatively, you can also add clobetasol propionate or coconut oil or Neem oil or any other essential oil. Cytokines are enzymes which are responsible for plaque formation in psoriasis. Turmeric helps in the reduction of cytokine count and also reduces the inflammation caused by them (7). Mix turmeric in extra virgin olive oil to make fine paste. Apply this paste on psoriasis affected skin areas. Leave it on for few minutes and wash it off with lukewarm water. Avocados are rich in vitamin A and C. Vitamin A helps shed the dead skin cells whereas vitamin C helps tighten the skin. Coupled with olive oil, avocado also helps moisturize the skin too. Mash an over ripe avocado to make a thick paste. Add 1 teaspoon olive oil into it and mix well. Massage it gently and leave it on for about 10 – 20 minutes. Note: For scalp psoriasis, you can apply the mixture on the scalp and rinse it off with shampoo. Peppermint oil has anti-microbial, anti-septic properties which provide a cooling effect on the skin. Shea butter consists of Vitamins E, D, F protect against UV Damage, inflammation and promote a healthy skin. Mix 1 teaspoon of peppermint oil and 1 tablespoon of olive oil into 4 oz container of Shea butter. Stir well and melt in a saucepan and pour it in a container. Apply this cream on the affected areas and massage it gently. Leave it on for few minutes and wipe off the excess cream. Capsaicin, a pigment present in cayenne pepper contains anti-inflammatory, analgesic and antibacterial properties which reduce swelling, pain and other discomforts caused by psoriasis. In a glass bowl, combine 1 cup olive oil and 3 tablespoons of cayenne pepper. Using a double boiler, heat the mixture for 5 – 10 minutes over medium heat. Now, add 1/2 cup of beeswax (grated) and stir well until it melts and blends completely. Remove from the flame and pour the solution into a glass jar. Close the lid and refrigerate it for 10 minutes. Now, whisk until smooth and chill for another 10 – 15 minutes. Whisk again to attain a creamy consistency. Apply the cream on the psoriasis affected areas as needed to relief from pain. Alternative Method: Combine equal amounts of olive oil and cayenne pepper. Apply the mixture on the affected areas and leave it on for 30 minutes. Rinse off with lukewarm water and pat dry. This process is effective for providing instant relief from the psoriasis symptoms. Note: This ointment can be store in refrigerator up to 10 days. Initially, the application may cause slight stinging sensation but it will reduce in sometime. If olive oil is taken as a dietary fiber, it helps to control the inflammatory responses in the body. People suffering from psoriasis are more prone to cardiovascular problems. Olive oil consumption helps to prevent blood clotting, improve blood vessel health, reduce oxidative damage, increase good cholesterol, and decrease bad cholesterol. Combine enough amounts of olive oil and lemon juice. You can use it as a dressing for salads or drizzle on paste, bread or baked veggies. Or else you can add 1 tablespoon of the mixture into a glass of water and drink it daily. Note: As per US Food and Drug Administration, recommend olive oil consumption is 2 tablespoons per day. The harsh chemicals in soaps like paraben, worsen the psoriasis condition. You can prepare olive oil soap at home by following the process given below. Using a double boiler, melt few “melt and pour” soap base cubes. Once it is melted, remove from the flame and add some olive oil into it. Stir well and pour the solution into moulds. Leave them aside to harden. Once it hardens, remove from the moulds and use them. For better results, you can also add essential oils of your choice. Scalp is the most commonly affected part in psoriasis. The vitamin E present in Olive oil reduces the oxidative stress and inflammation caused by psoriasis. Below are the methods you can try to control scalp psoriasis. Try any one of them regularly as per your convenience. Apply the olive oil to your hair and scalp. Leave the hair in a shower cap and let the oil settle in for a few minutes. Shampoo and wash your hair. Dab your scalp with a cotton cloth (Do not rub the scalp hard with towel or use a blow drier). Using a double boiler, slightly warm 1 cup of olive oil. Remove from the heat and add 10 – 15 drops of tea tree oil. Stir well and pour the mixture into an empty bottle. Apply some of the mixture on scalp and massage gently. After few minutes of massaging, wrap your head with shower cap or plastic wrap. Leave it on for 2 – 3 hours or overnight as per your convenience. Mix 2 drops of calendula oil and 1 drop of oregano oil in 1 cup of olive oil. Gently massage your scalp with the mixture into and rinse it off after few hours. Honey is a natural exfoliator of dead skin cells and also helps in the removal of scars caused by psoriasis. A combination of olive oil and honey can be a perfect way to get rid of the psoriasis lesions. Combine 1 tablespoon honey and 2 tablespoons of olive oil. Pour this mixture in a plastic zipper bag and place it in a mug or bowl filled with hot water. Let it sit for few minutes and then remove the bag. Now cut one corner end of the bag and squeeze the bag over your head to disperse the mix. Saturate the hair completely and then cover it with a shower cap. Leave it on for 15 – 20 minutes and wash it off with mild shampoo. Avocado is known to increase the epidermal elasticity of the skin by penetrating deep into the skin. Yogurt is known to be a good moisturizing agent and its rich bacterial count helps reduce the itchiness caused on the scalp. Mix 3 – 4 teaspoons each of olive oil and avocado oil, 1 tablespoon of yogurt and some honey. Stir well and apply this mixture on scalp by focusing more on affected areas. Massage it gently for few minutes and let it sit for an hour or two. As per International Eczema and Psoriasis Foundation (IEPF), an estimate of 18% people suffering from psoriasis end up affecting their ears. Regardless of the area of the ear it occurs, the excess buildup of skin cells make it difficult to hear. Below are few remedies you can try to control ear psoriasis and improve hearing capability. Olive oil can be soothing for a sensitive area such as ear. It helps to reduce any inflammation caused by the lesions in the ear. Clean the affected area with lukewarm water and pat it dry with soft towel. Using a cotton bud, apply olive oil to the affected area of the ear before sleeping (preferably). Leave it on overnight and wipe it off next morning. If the ear canal is affected by psoriasis, then pour a few drops of olive oil in the ear canal and leave it on for 5 – 10 minutes. Wipe out any excess olive oil. Vitamin F present in shea butter helps in hydrating and reducing the itchiness caused due to psoriasis. Also, the vitamin E in it protects the skin against any harmful UV rays. Combine olive oil and shea butter oil. Using a dropper pour the mixture into the ears. Alternatively, you can use peanut oil instead of shea butter oil. Garlic is known to inhibit Kappa-B, an anti-inflammatory compound. Thus it helps to reduce the inflammation and irritation on the skin. Add a few garlic cloves to olive oil and let it sit for few minutes. Then crush these cloves to release natural oils. Now heat the obtained oil gently till it reaches boiling point. Let it cool down for few minutes and pour few drops of it into the ear. Leave it on for few minutes and wipe it off. Use this method 2-3 times a day till the symptoms are in control. Perform a patch test to know whether you are allergic to olive oil or not. For sensitive skin, it is better to proceed with caution. Olive oil must not be used before testing your skin for sensitivity and allergies. If you happen to have a sensitive skin, it is advisory if you proceed with caution. Use of olive oil on infants may not be a good idea as it may lead to eczema in the future. Wipe your face or the lesion clean after any of the mentioned procedure to prevent clogging. Avoid heating extra virgin olive oil more than mild temperature. For better results, you can use ozonated olive oil like O2 – zap. Replace your cooking oil with olive oil. Regular consumption of olive oil strengthens your immune system. Make sure not heat olive oil to smoking point as it can lead to additional health problems. Spicy foods worsen the inflammation so avoid or decrease the quantity of them in your diet. Also avoid sugary and oily foods as they can worsen the psoriasis. Avoid soaps, shampoos, conditioners or moisturizers that contain harsh chemicals like paraben and lauryl sulfate. Drink plenty of water to keep yourself hydrated and flush out the toxins. Always moisturize to reduce scaling and flaking. Natural moisturizer like olive oil, coconut oil or shea butter can be best alternatives for commercial chemical based ones. Avoid scratching the psoriasis affected areas. Though psoriasis is an un-curable disease, there are a lot of ways in which it can be controlled. Fortunately, most of them are easily available in your kitchen. Are there any other remedies or combinations of olive oil than mentioned above? Do write to us in the comment section below.